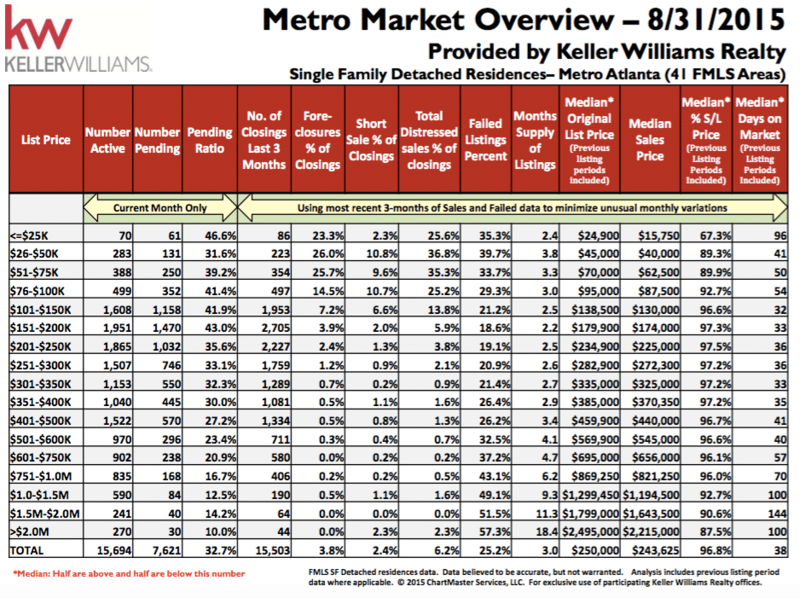 The Metro Atlanta Real Estate Market continued an upward annual trend in August with 14.9% more sales than August 2014! And, The Peters Company continued to outperform the market by selling 20% more homes than August 2014. So… How did August 2015 compare to August 2014? If you’ve been thinking of buying or selling in Metro Atlanta and just want to chat about the market in your neighborhood, we’d love nothing more than to hear from you! The Peters Company can give you a free and highly accurate opinion of value. Give us a call at 404-419-3619 today! ← Just Listed :: Gorgeous Townhome in Vinings Estates!